It costs 4 to 10 times more to acquire a new customer than it does to retain an existing customer. Yet, a survey by Econsultancy shows that 85% of marketers are putting equal or more emphasis, time and resources on acquisition than retention. Bottom line – the data is telling us that it is not only easier but also less expensive to nurture existing customers while getting better results for the overall business. So why aren’t marketers chomping at the bit increase customer retention and dedicate more resources to keeping and up-selling the customers they already have? There are three main reasons. In most companies, customer support is seen as the department in charge of retention, and often has its goals aligned to the metric. With customer support reporting that metric, marketers don’t see the need to put effort into retention. 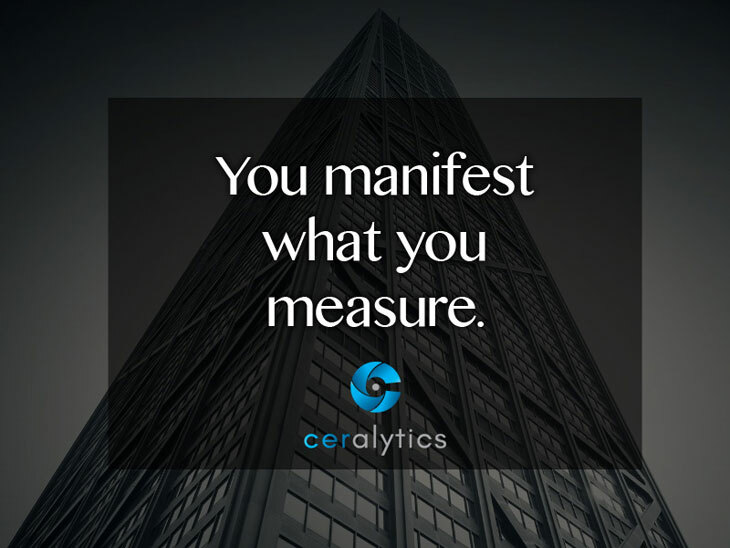 You manifest what you measure. A lead comes in from a campaign, converts to a sales opportunity, converts to a sale and boom, marketing is attributed. 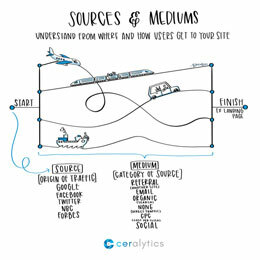 For client retention, attribution is more tricky. It’s not difficult to see which clients responded to individual campaigns in most cases, but then the question is asked, “Did the client stay because of the campaign, or would they have stayed on anyway because they like the product and didn’t want to switch?” Since current clients may have a predisposition to the product, it can seem hard to measure and separate the effectiveness of a campaign from how it affects that predisposition. Focusing on quick acquisition and growth is very appealing because it broadens the base of customers and increases the overall revenue of a company, despite its high cost. For high growth companies, acquisition is the primary goal of marketing, where retention is seen as something that happens “next year.” It’s a dangerous game that most likely results in high client turnover rates. 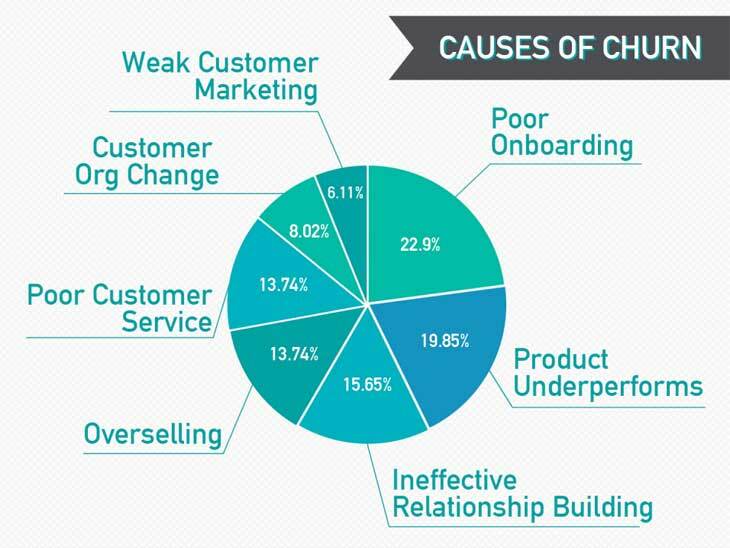 The number one cause of customer churn is poor onboarding (22.9%), followed by product performance (19.65%) and then ineffective relationship building (15.65%). On the surface, poor onboarding and ineffective relationship building look like client support, sales, or training issues. However, they are not. They are content strategy issues. According to Scott Abel in his article on the Content Marketing Institute, the content strategy for a company should encapsulate not only marketing, but sales, client support, product development and other necessary departments that utilize or help create content as an asset. Because content strategy spans many departments, tactics such as onboarding and relationship building fall under it, as content is used heavily for both tactics – onboarding can be a series of emails, tutorials, in-app videos, etc. Relationship building is already being done to acquire and build trust with prospects, so it becomes essential that content plays a role in building relationships with existing customers as well. Customer churn rate should be a metric that is tied to content teams not just client support and sales. Because content teams will own a piece of that metric, they are now obliged to make it part of the overall content strategy – which would then roll out across the departments touched by content – marketing, sales, client support, product development, etc.. Marketers have a choice then. Stay in the marketing silo and only worry about acquisition, or truly embrace a company-wide content strategy, and lead the way in creating the most valuable content for clients and prospects at any stage of their buying journey. Stay in the marketing silo and see short term success for the department without as much effort, while the organization struggles with other means to increase client retention, often to the detriment of the company overall. Embrace the new role that content plays throughout an organization and build a content strategy that helps drive bottom line results to the entire organization for a more sustainable future. The first choice may be appealing for those strategically focused on the short term, but the best long-term benefit to the organization and its clients is the second choice. If you are in it for the long-haul, then read on. To impact client churn rates, you must first have a strong understanding of the customer journey (the good and the bad). A good place to start is through an, audit of all communications that come from client support, sales and from within your product (if your product sends communications). Now imagine the buyer’s journey as they move from the marketing messaging they were receiving before to this new messaging. In many cases, you’ll notice once a prospect becomes a customer, the content experience completely changes for them. Layout this audit as the existing customer journey and look for inconsistencies and places for improvement. For customer onboarding, you may find significant gaps between what content is being sent to clients and what those clients expect. 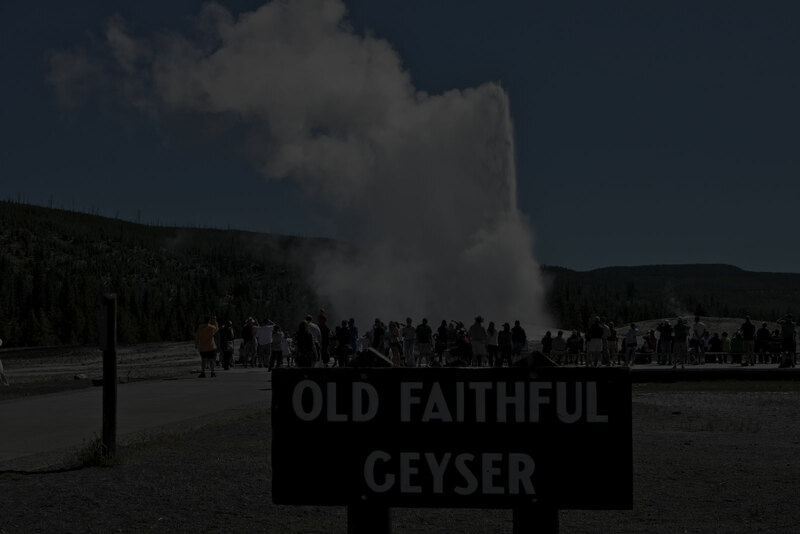 This is the opportunity to fill in those gaps, thus positively impacting client churn rates. Also pay particular attention to the branding of the content, both in design and voice. These should be consistent with other marketing messaging. Now look for places to help build trust and credibility with clients by giving them content that will help them utilize your product or service – and in some cases go even beyond what your product or service can do. Be a thought leader and show it. People want to be at the head of the pack and with a company they know will innovate with them. Keeping clients up-to-date with industry trends or new tips on how to make something better or easier builds a more trusting relationship with them. The added benefit of happy customers – new customers! Create loyalty with your users and you will also benefit from word of mouth about your brand and your products. These brand ambassadors have influence within their own networks and can help drive more new acquisitions to help the other side of your marketing efforts.